The mediterranean-style architecture combined with Arabic embellishments sees rooms and suites boasting signature high ceilings, sea-view balconies and soothing tones of honey, aqua, white and hints of gold throughout. One of the bedrooms in the Royal Suite. With everything you need on your doorstep, guests have the option of enjoying the world-class benefits of the resort whilst having the choice of exploring Dubai's shopping destinations such as the JBR walk on its doorstep, the Atlantis Hotel at the Palm Jumeirah or the Mall of the Emirates, both a 10-15 minute car journey from the Hotel. The view of the Gulf Sea and Resort from the Junior Club Rooms' balconies. The five-star resort accommodates for any occasion - a family visit, wedding, business stay or romantic getaway. The atmosphere is relaxed, quiet and peaceful and helpful and friendly members of staff are stationed at almost every point on site to help with any questions or special requests. Younger guests are in good hands with the Ritz Kids® programme that takes place each day. There's numerous outdoor activities planned, gardens and beaches to explore, swimming pools with slides and waterfalls and indoor lounges to wind down in. The childrens' pool features waterfalls and waterslides. The Club Level Lounge for exclusive Club Level guests. 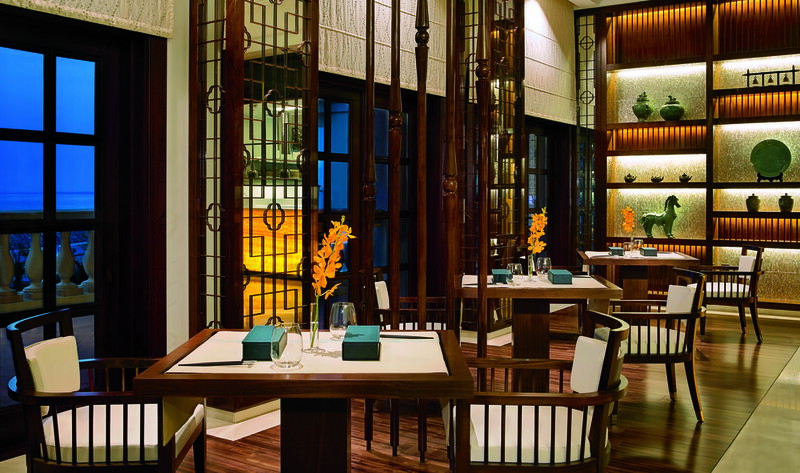 The Ritz-Carlton offers an exclusive hotel experience when checking into the Club Lounge. 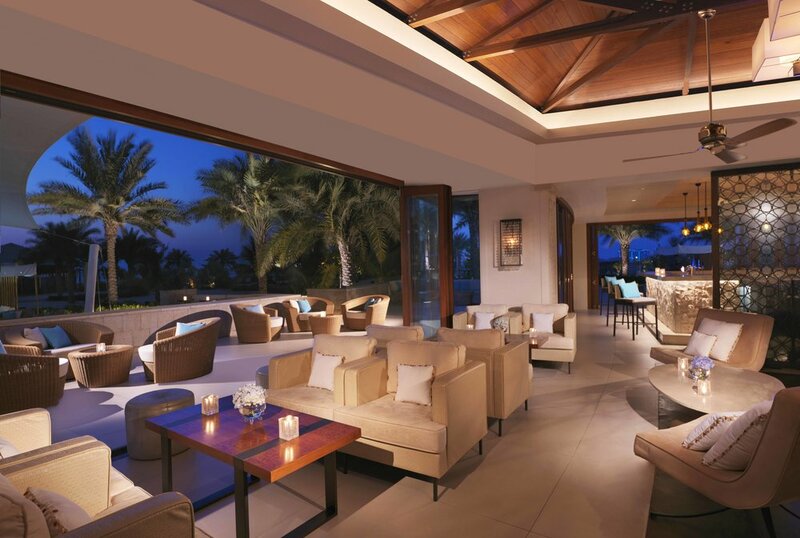 Guests are greeted on arrival for a customised check-in within in a private VIP lounge overlooking the resort. The Club Level access also provides food and drink arrangements throughout the day, with complimentary Afternoon Tea starting from 2.30pm. The Club Lounge is located on the 3rd floor of the hotel and is open sun-sat 7am - 10pm. Continental Breakfast: 7 a.m. – 11 a.m.
Includes complimentary cocktails and honour bar as well as four live food stations. The Ritz-Carlton is not the same company as the well-known 'Ritz' in London. The rooms do not include high-speed internet - it's available at a fee. However, complimentary high speed internet access is provided in the club lounge. Love to read the papers at Breakfast? Make sure to request a non-UAE newspaper a day in advance. Club Level Members often receive complimentary treats sent to the room. 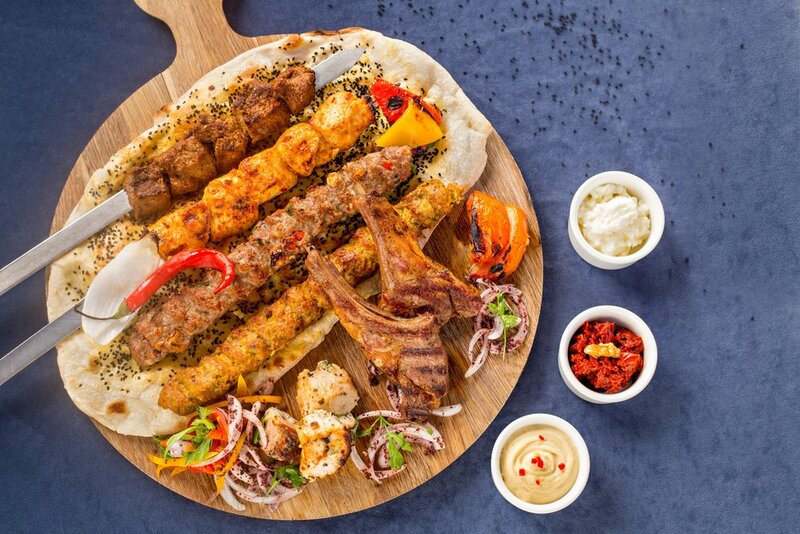 Amaseena - Authentic Arabic cuisine served beneath Dubai night sky. Diners can enjoy buffet-style food with live Arabic music, traditional Bedouin tents and aromatic shisha pipes. Caravan - Breakfast based on home-made, authentic flavours of the Middle East and South India. Guests can choose from several live cooking stations a rotisserie on weekends and a very special waffle and pancake station for sweet tooths. 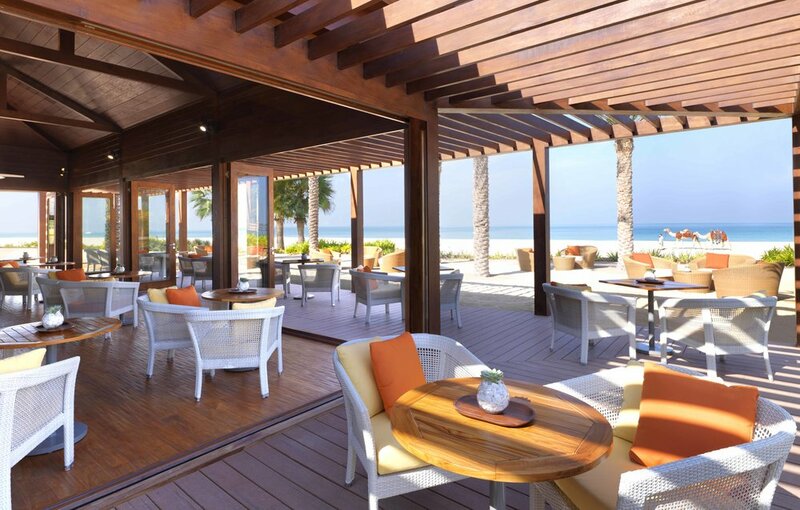 Palm Grill - Sit with your toes in the sand and admire the sea view here at Palm Grill. Fresh seafood is served outside and relaxed BBQ vibes makes this the perfect restaurant to enjoy after a swim. 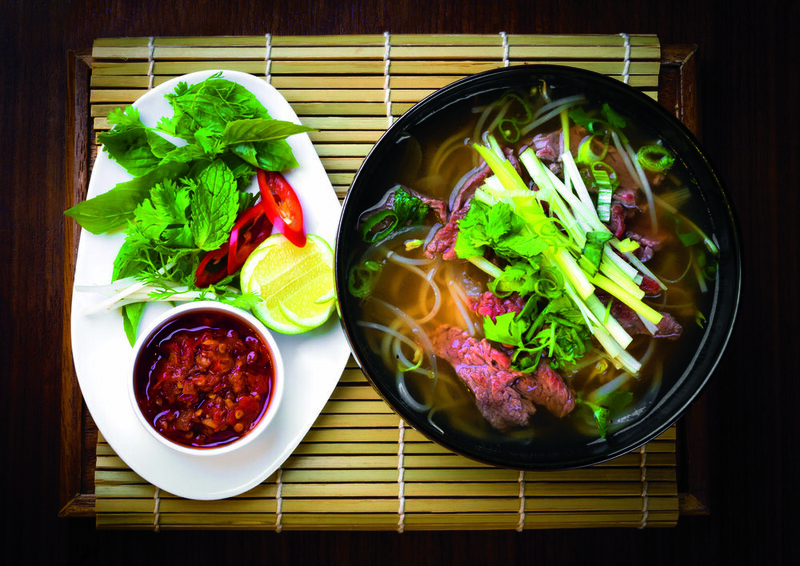 Blue Jade - Awarded Best Southeast Asian Restaurant in 2015 by TimeOut Dubai, Blue Jade incorporates Asian dishes with cooking styles from across the continent - packed with flavours, spices and aromas. La Baie - La Baie is located by one of the swimming pools closest to the beachside. By day, the cabana bar and restaurant is a stylish and relaxed venue serving poolside drinks and sharers as well as broadcasting sports and news on TV screens for a personalised feel. Come sunset, La Baie serves international cuisine and craft cocktails for a more glamorous affair. Deluxe Rooms at the Ritz-Carlton Resort, Jumeirah Dubai are £375 a night on average.